When Yuji Onuma was in 6th grade he wrote a phrase. What started as part of a homework project, won an award and eventually became the slogan on large signs as you enter Futaba Fukushima. The now ironic signs are to be torn down. The town claims the signs are a safety risk as they have deteriorated. Mr. Onuma wants the signs to stay. 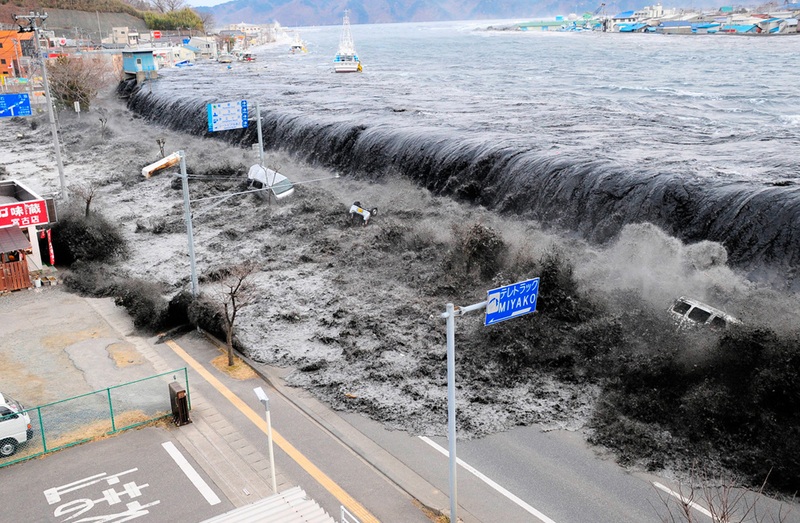 Futaba is one of the two towns that host the Fukushima Daiichi nuclear plant. Units 5 and 6 sit on land that is part of Futaba. Japan heavily promoted its nuclear industry to children through textbooks, interactive displays and other ways of engagement. Along with this came Japan’s “safety myth”, where the public was repeatedly given what are now known to be hollow assurances of safety and stability of the country’s nuclear plants. Towns that host nuclear plants receive considerable subsidies and other largess from the government and the nuclear plant operator. 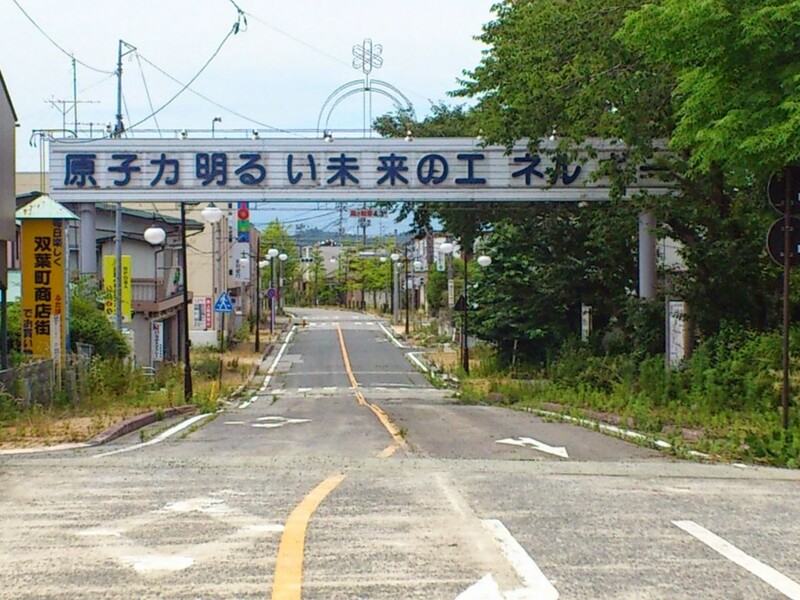 In rural areas of Japan already struggling with decreasing numbers of residents and an aging population they end up dependent on the money and jobs from a nuclear plant. In Futaba the harsh reality of the other side of this deal has turned the town into a wasteland. 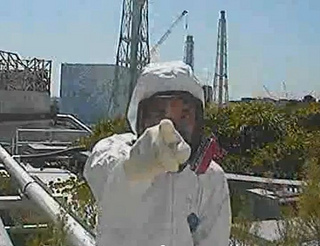 Radiation levels in Futaba are still some of the highest in Japan as the plume from the plant fell over the town. The town still remains in the areas declared difficult to return to. Mr. Onuma has asked that money earmarked for removal of the signs instead be used to maintain the signs in place as a reminder of a deal gone bad.